I’m going to steal this post entirely from local hero Kevin Cannon at the Big Time Attic blog… I didn’t know you could get a Xeric grant for anthologies… everyone please make note of that!!! 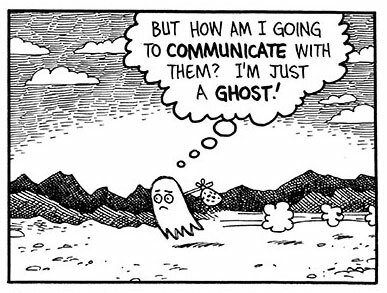 Ed Choy Moorman is throwing a book release party for his Xeric-winning anthology, GHOST COMICS, and you’re invited. I’ve got a four page story called The Architecturons inside, and other contributors include Zak Sally, Will Dinski, Sarah Morean, Jeffrey Brown, John Hankiewicz, John Porcellino, Reynold Kissling… and too many more to name. Actually, the complete list is here. The Xeric Award-winning Ghost Comics: A Benefit Anthology for RS Eden will be unveiled. 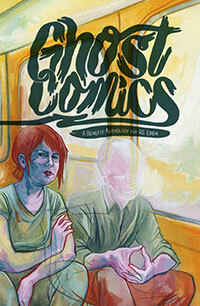 All proceeds from Ghost Comics benefit local substance abuse treatment facility RS Eden.